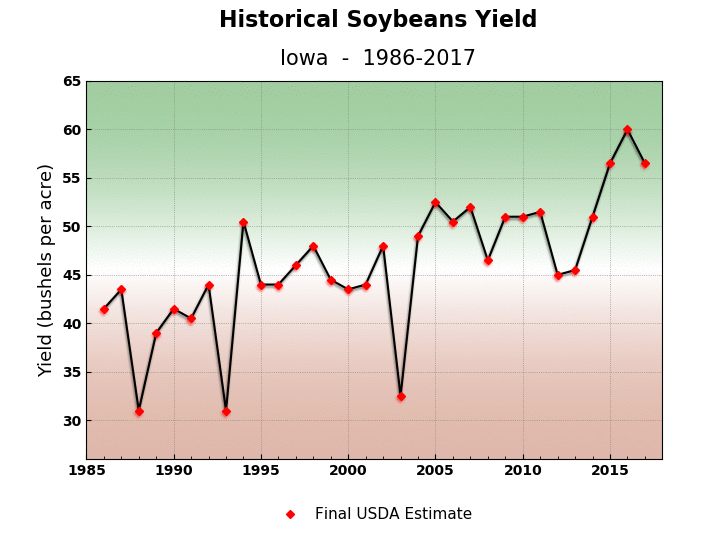 The Technology Trend – many types of technology is improving yields for both soybeans and corn. 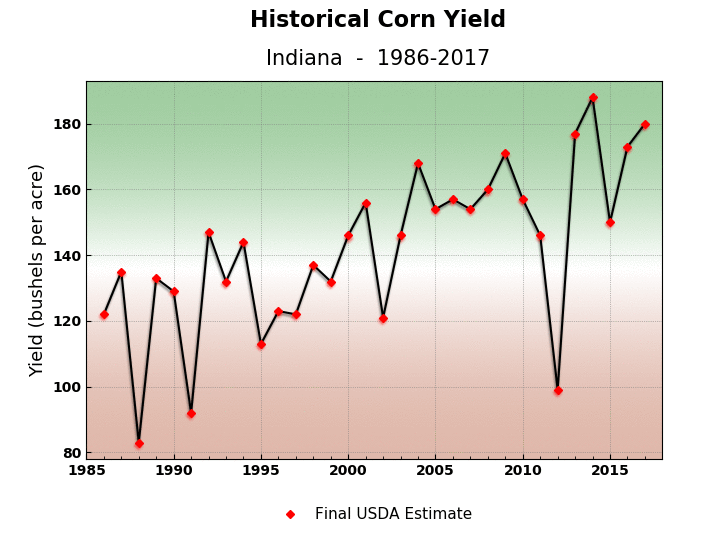 The result is an increase of how much crop can be produced on a given piece of farm land. 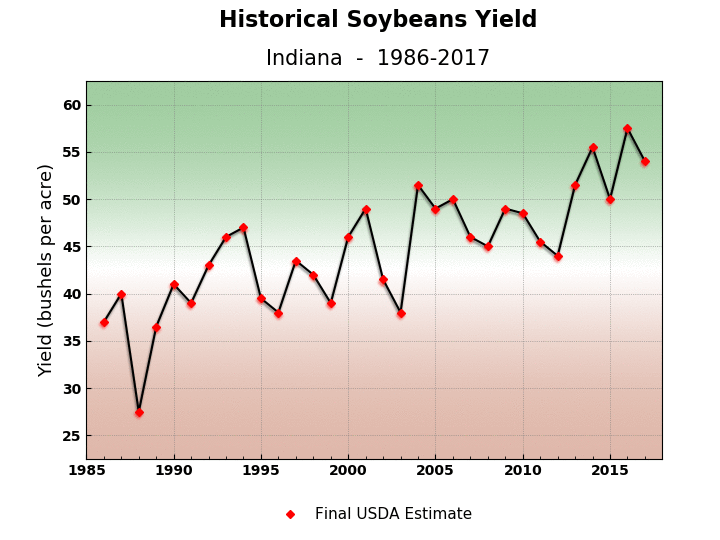 The charts below show corn and soybean yields from 1986 to 2017 as reported by the USDA. The general upward slope of the line is the technology trend. 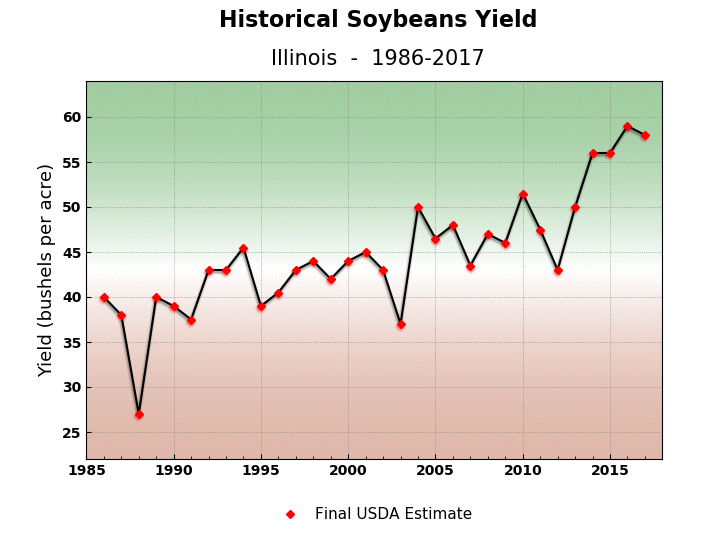 Weather conditions during the crop season – after removing the effect of the technology trend, the impact of weather on crops can be estimated. 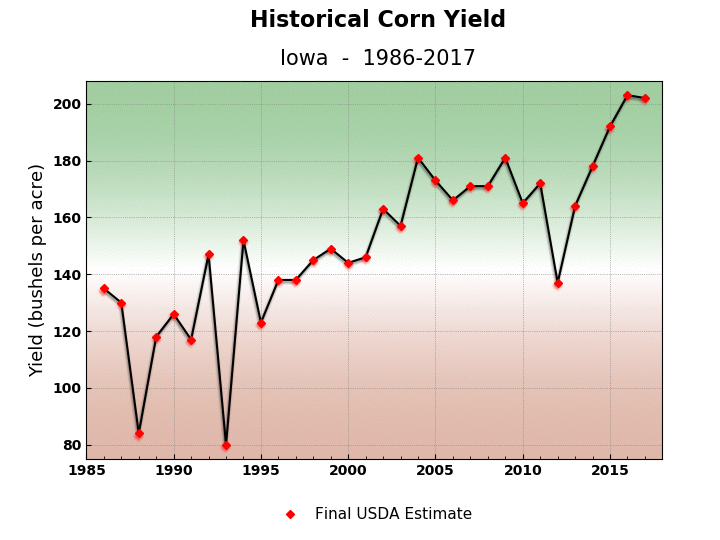 The variations around the upward trend in the data on these charts are cause by weather conditions during the crop season. 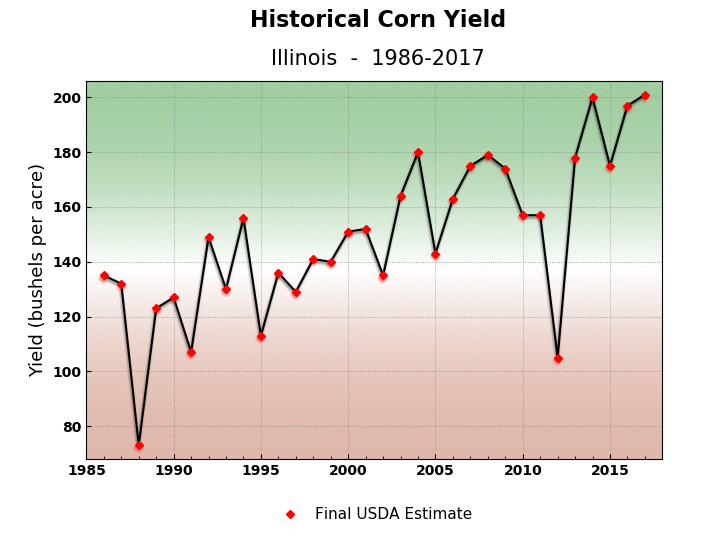 CropProphet uses the evolving weather conditions during each crop season to forecast end of season yields and production.